Please click “Read More” for details. Overall, when compared to the welding industry, the American Welding Society had a reasonably good year in 2016. We want to thank our Volunteers and Staff for their devoted efforts in making AWS successful. 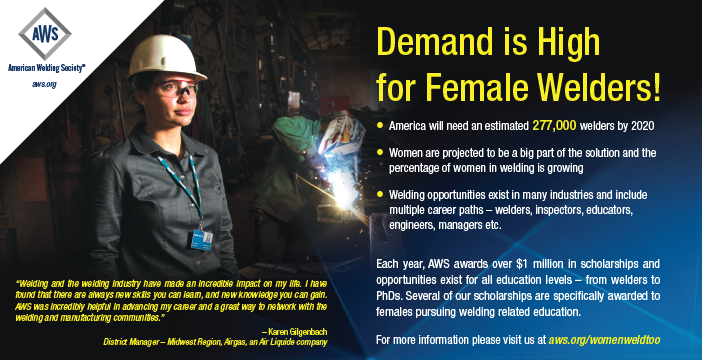 Learn about the demand for Female Welders!. 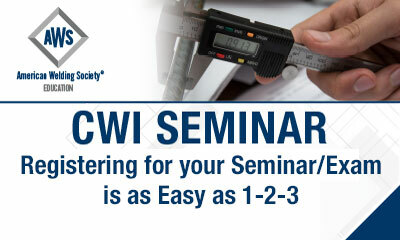 Welder Training Scholarships are available to AWS Districts to provide funds to students seeking welder training through a trade school, community college, or other facility providing welder training programs, such as Tulsa Welding School and Hobart Institute of Welding Technology; or for an AWS Certified Welder (CW) seminar. This website is a division of the American Welding Society. © 2016 All Rights Reserved.